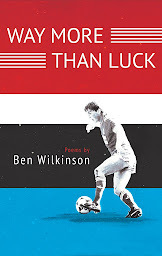 Around midway through, however, the overall tone of the book changes: a shift from the playful, albeit tense feel of these earlier poems, to the brave and compelling pieces of the latter half. The focus here is parenting, particularly its many unforeseeable difficulties, with a number of poems addressing time spent in and out of hospital. These are as affecting and effective for their evocative, yet rarely merely decorative, description (“Fireworks on Ward 4C”), as for their arresting and deft use of speech patterns (in “Mengy Babies”, a distressed mother is found crying: “‘I kept phoning and telling them, something’s gone wrong.’”). But it is in a provocative elegy, “The Send-Off”, that Hughes’s writing seems most urgently committed. A haunting, touching address to the poet’s lost child, diagnosed with Down’s Syndrome before birth, it is difficult to examine the poem in typical critical terms: honest, and devoid of any agenda as it is. 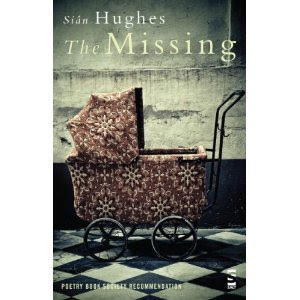 Along with many of the poems in The Missing, it memorably reveals the work of a writer capable of addressing emotionally difficult subjects with exceptional clarity and feeling.